Roseanne Barr’s rebooted sitcom, Roseanne, once again topped the ratings for Tuesday, earning Barr the title of the queen of primetime. For the third week in a row, Roseanne topped the primetime ratings charts for Tuesday gaining a 3.4 rating/15 share in the key adults 18-49 demographic and earning 13.5 million total viewers, according to The Wrap. Still, while the sitcom was the strongest show on Tuesday, the result was down 12.8 percent over the previous week which itself was down 20 percent over the season’s debut. 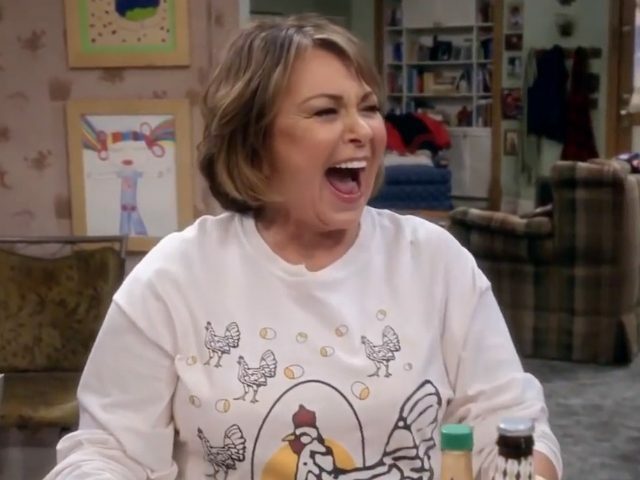 Despite the slight dip in overall viewers, though, Roseanne has continued to outperform its competition by millions of viewers, making the classic 90’s revival the most viewed scripted series on Tuesdays. By comparison, The Wrap notes, Fox’s New Girl only earned 2 million viewers and the network’s popular crime drama Lethal Weapon saw a solid 4.1 million eyes tune in. Meanwhile, NBC’s musical performance competition show The Voice gained 7.7 million viewers. As for CBS, a re-run of an Elton John musical special earned about 7.1 million viewers. The success of the show has not only captivated tens of millions of Americans, it has garnered a tremendous amount of praise from President Donald Trump. So, three weeks into its first re-booted season, Roseanne is still ruling the roost.